Recent Promotions: Congratulations to Lieutenant Detective Paul Mahoney on his recent promotion to the rank of Deputy Superintendent. At a recent ceremony at Boston Police Headquarters, Commissioner Gross presented Deputy Superintendent Mahoney with his new badge. 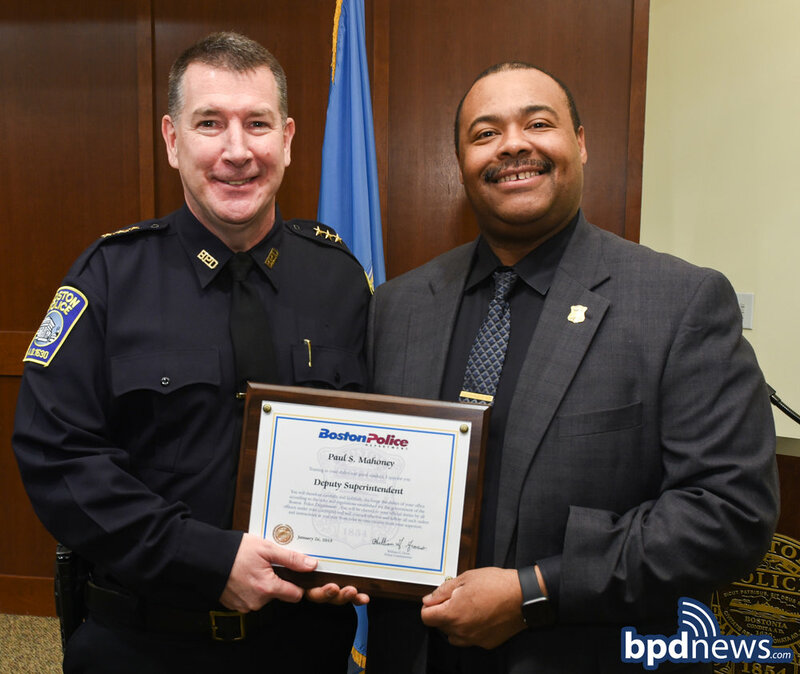 The men and women of the BPD would like to wish Deputy Superintendent Mahoney the best of luck as he moves forward into his new position as a member of the Boston Police Command Staff.